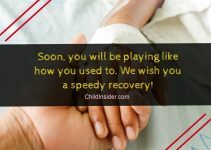 If you are looking for quotes about the middle child that you can send to your family members – especially your older and younger siblings, you are in the right place. There’s so much that is said about what it’s like being the middle child that it would be unfair if you do not get to have your own say. Are You The Middle Child In Your Family? As you are looking for middle child quotes, you should be the middle child! Being a middle child has its ups and downs – you are not guarded as strictly as the eldest child, so you are freer. But then again, you only get passed-down items, while your younger sibling gets new items. This applies to toys, clothes, stationery and so many more items that sometimes you might think that it’s unfair! You deserve so much more for what you do as the peacemaker of the family. That’s right! Being the middle child means that you are the one keeping your older and younger siblings from too many conflicts because you can bridge their communications. Anyways, we would like to give you a high five for being an awesome middle child! We acknowledge your efforts and contributions to the family. 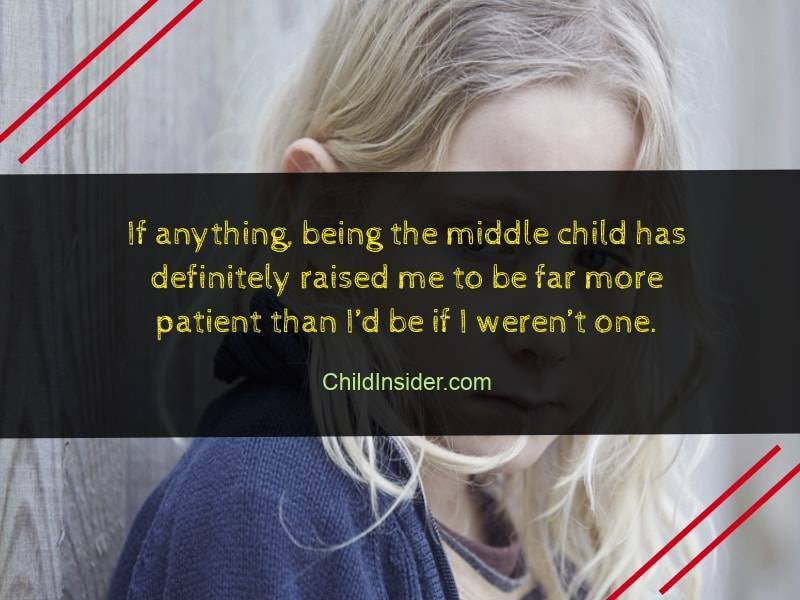 There’s so much about being a middle child that you can talk about, and we can only try to express your story in the 20 quotes about middle child below. You can try to tell others what it’s like to be a middle child, but you know very well that only another middle child will know exactly what you are talking about. So, enjoy reading the middle child quotes here, and share them with your fellow friends who are also the middle child in their family! 1. Not the oldest, not the youngest – just somewhere in between, not quite sure where to fit in. 2. Actually, I am a middle child, but I am far from being constantly ignored or forgotten. 3. The beauty of being the middle child is that you can learn from the older ones and teach the younger ones. You learn from both worlds. 4. We might get passed-down clothes and second-hand toys, but that makes us a lot more low-maintenance to take care of! 5. Most middle children are the mediators. You’ll find that their old habits die hard when they put everything aside just to make sure that everyone else is alright. 6. If anything, being the middle child has definitely raised me to be far more patient than I’d be if I weren’t one. 7. Parents are stricter with the first-borns, and I was just happy that I didn’t get that strict treatment, until I realize the rules are all gone with the youngest one that came after. 8. Being the middle child is probably synonymous with being the odd one out at this point. 9. Did you know that there’s a Middle Child’s Day? No? Well, that’s just so typical of how we are treated. 10. Three main traits of a middle child – patient, negotiating and peace-loving. 11. I’m not sure if my parents actually know how much it hurts to be compared to your older siblings. 12. As a middle child, I really feel the lack of love. I’m sorry if I asked for it in the most unloving of ways, maybe I just didn’t know how. 13. Maybe the reason why our parents have another child to make us the middle ones are just so that our awesomeness wouldn’t stand out too much. 14. Aren’t you a little old to be showing all of that Middle Child Syndrome? 15. I think all other people who grew up as the middle child can agree with me – we have the invisibility superpower. 16. I assume that 75% of all who grew up as the middle child is in therapy at one point or another. 17. I’m a middle child and I’m proud – I’m diplomatic, and they don’t know it but I keep the family from falling apart. 18. My goal as a parent will be to love all my children equally, even the middle one, just so that no one feels left out at any point like me. 19. Hey, sorry we can’t make it for the Middle Child’s Day dinner. We already agreed for a dinner with your brother and sister. 20. Did you know that middle children usually grow up to be really skilled at manipulating others? No? Good.